Mary and the staff are amazing! I love my spa days there. 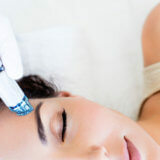 The HydraFacial is AMAZING! I called and made an appointment because of a nasty break out. I was able to get an appointment within the same week and they got my break out under control. I have had facials before but nothing like they provide here. My favorite part about the Laser Lounge is that they offer so many different services. I have been doing a series of laser hair removal. Not having to shave before going to the pool has been amazing. 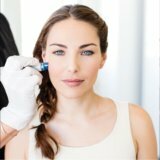 I had shopped around prices for laser hair removal and they by far were the most cost efficient. I drive all the way from Leander to Georgetown to see the ladies at Laser Lounge. I don’t mind the drive because they are amazing at what they do. After I had a HydraFacial I went to HEB and 2 different ladies actually stopped me in the store to comment on my skin and how much it was glowing. They always make my skin look and feel amazing! From the first time I came, Kathi made me feel so comfortable talking about my body. I have seen amazing results with routine laser hair removal & hydrafacials! I highly recommend Laser Lounge Med Spa! I have been coming to Laser Lounge Med Spa for about seven years, this place is Great! Mary is amazing and good at what she does. I have been getting the laser treatments and they work just as she said they would. I don’t even remember the last time I shaved my legs. Mary is awesome at working with appointment times and just a great person! I’ve gotten the laser in other areas as well and it works! Definitely a place to come to, very affordable and time efficient. My family has also come to her and are very pleased with her services. Thanks a bunch Mary! I have been going to Laser Lounge Med Spa for over 2 years now and would recommend Mary and Kathi to anyone who is looking for an absolutely wonderful experience! I have gone to other salons to have laser hair removal and facials, they do not compare to the exceptional client experience and attention detail I receive at Laser Lounge Med Spa! !